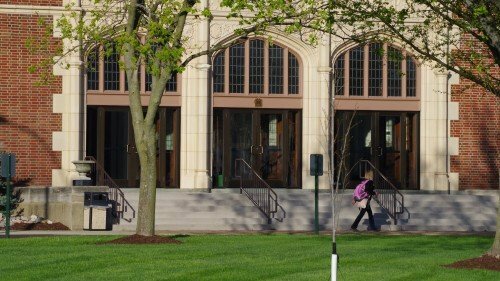 Lindenwood University’s commitment to holistic review of all applications, along with the enactment of becoming a test-optional institution shows its commitment to opening the door to a quality education for individuals who may not otherwise have the chance. This opportunity allows us to collaborate with high-achieving high school students who have showcased success, not only in the classroom but far beyond. This admissions practice aligns with Lindenwood’s mission and commitment to excellence to our prospective students! 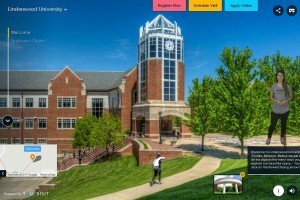 Lindenwood University encourages you to apply using our free online application, or by adding Lindenwood University to your My Colleges list on The Common Application. A current, official high school transcript including registrar signature/stamp sent to the office of admissions by mail or through an electronic transcript service. A final high school transcript must be sent following graduation. The final transcript must include a graduation date and registrar signature/stamp. If you are submitting dual enrollment transcripts, they must be received from the institution awarding the credit. AP credits should be sent from CollegeBoard.org. Test scores are not required for applicants who select to be ‘test-optional’ at time of application. This designation must be made at time of application. While this is not a required piece for admission, we strongly encourage every family to submit the FAFSA in order to be fully considered for all financial aid.